Spring is springing! The snowdrops are amazing this year and shrubs are sprouting. 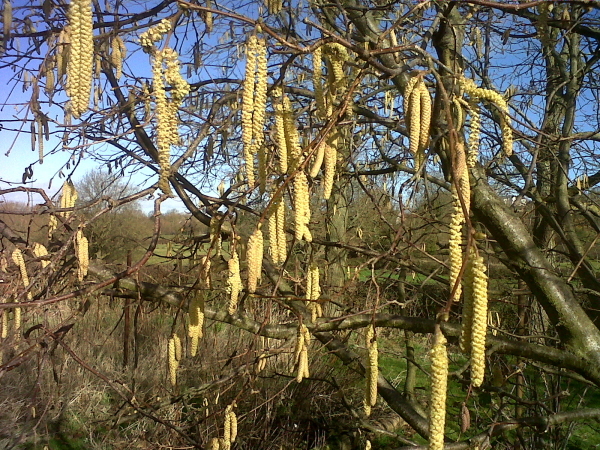 The Hazel bush is covered in yellow lambs-tail catkins. They look dramatic against the blue sky. We look forward to nuts, cob nuts some people call them, but every year the squirrels get them just when they are perfectly ripe. They leave little piles of shells around the orchard. 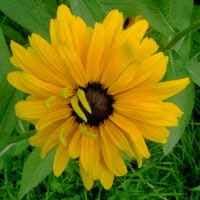 Even though no nuts, the hazel is useful. 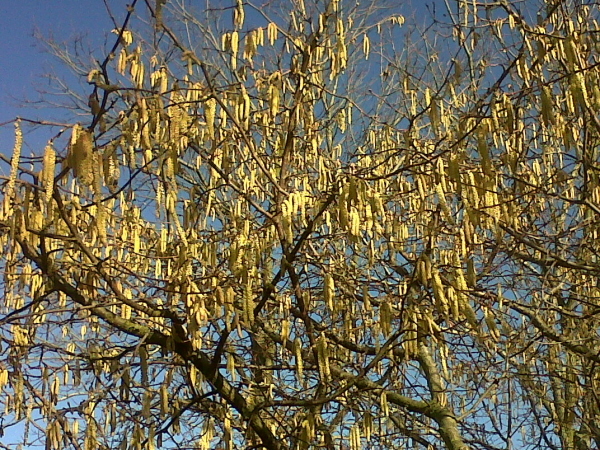 Tall straight shoots emerge from the centre of the tree (withies) which can be cut and used for bean-poles and stakes. They're stronger than bamboos and cheaper than buying poles from the garden centre.